This is a T puzzle, as clues by the colors and the words superimposed on the rubbings. Each rubbing clues a station a short distance from MIT and the rubbing is taken in or near that station. The purple-framed rubbing, at the top of the page with the word STATION, clues North Station. The top of the plaque has the address 164 Canal Street, which is now an empty space between two sports bars. In 1999, it was the location of Financial Perspectives Planning Services, so the missing letters are AL. 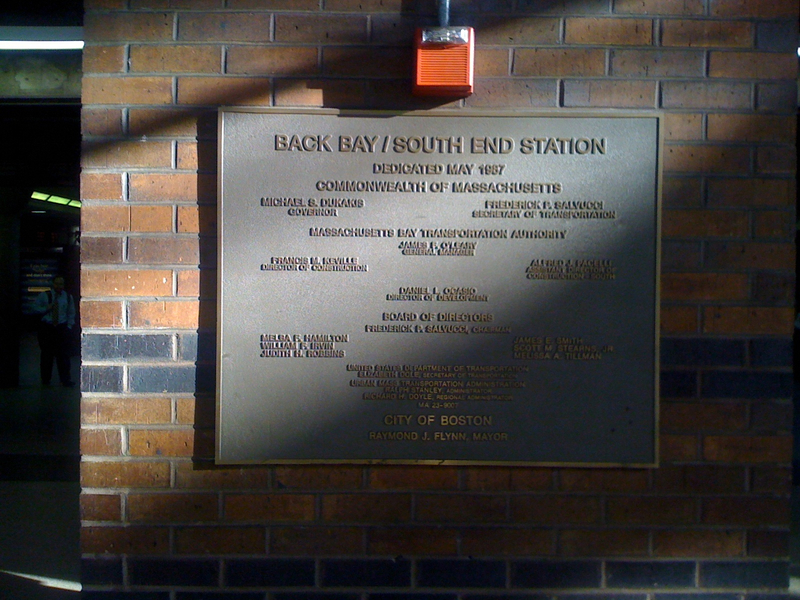 The orange-framed rubbing, on the left side with the word BAY, clues Back Bay station, and is in fact a dedication plaque for the station. The last word partly visible is GOVERNOR, and the governor of Massachusetts with consecutive KA in his name is Dukakis, who was governor in 1987 when this station opened. So the missing letters are DU. The red-framed rubbing, the only square shaped one and in the middle of the page, clues Central Square. The rubbing is from an inscription on one of the cylinders that form the "Multicultural Manifestos" artwork that is located there. The inscription on the cylinder has words "...people....different...background...". Thus, the missing letters are RE. The green-framed rubbing at the bottom of the page, with letters TWNO in a square, clues Downtown Crossing (T-O and W-N are crossing). 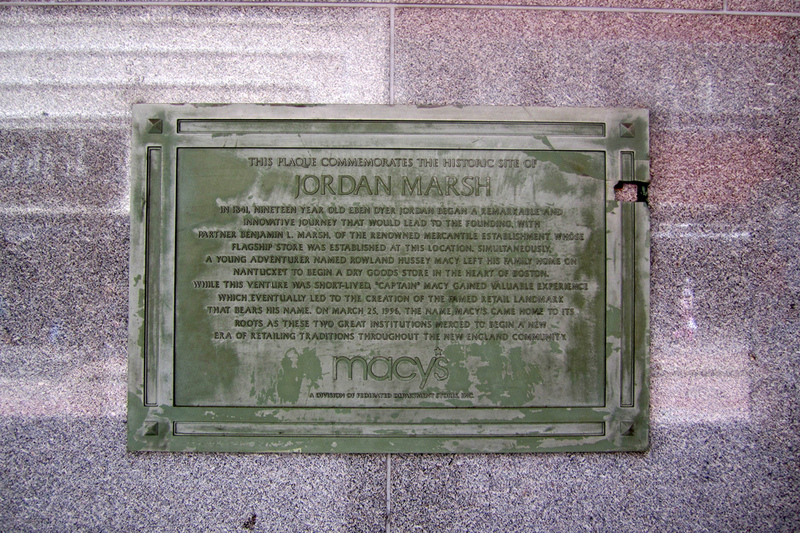 This rubbing is from the plaque commemorating the Jordan Marsh department store, which sat above Downtown Crossing for decades, and in 1996 was bought by Macy's. Note that unlike the other ones, Downtown Crossing is not technically on the green line, but it is connected by the walkable tunnel to Park Street station. The missing letters are SI from "simultaneously". Put these together in the order of a possible trip connecting all these stations: Red line from Central Square to Downtown Crossing, orange to Back Bay, and then back on the orange line to North Station (Back Bay is on the commuter rail, but it is on the South Station commuter rail, not connected to North Station). Alternatively, just anagram. This gives RESIDUAL.